Whether you’re already living in your dream home or in the process of making it a reality, we know that you’re always thinking how to make the walls of your house look better. A stone wall can be the solution for almost anywhere in the home and brings charm and visual interest in a way that a flat painted can’t match. 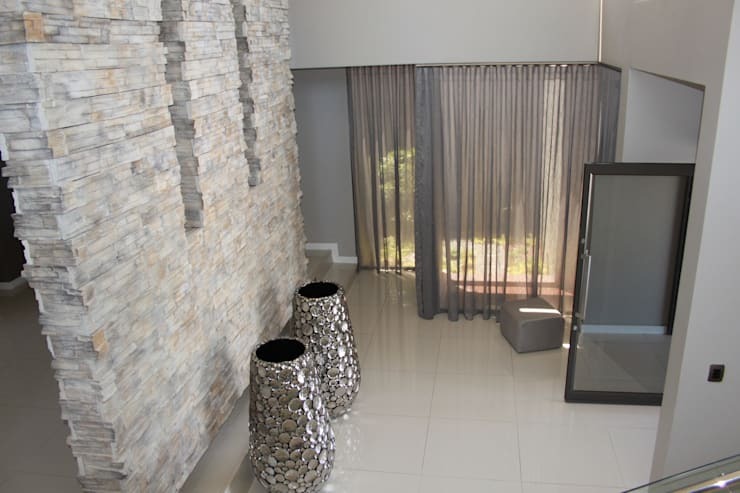 There is a beautiful variety of stones that can cover walls. Even within each type of stone there are more variations of tone and colour. 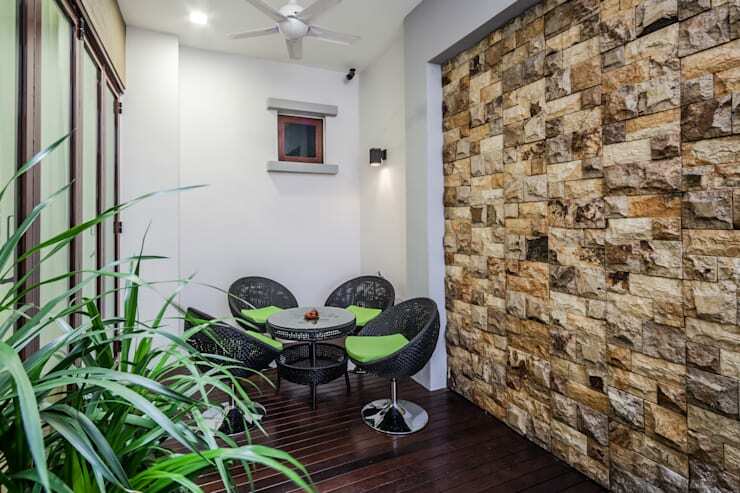 Stone walls can fit into any home with the right considerations and homify can connect you with professionals to help you define your look. 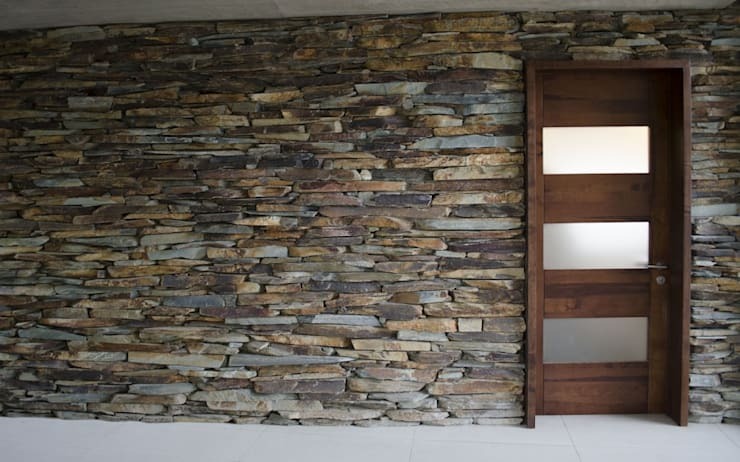 Come take a look at a gallery of some of our favourite stone walls! 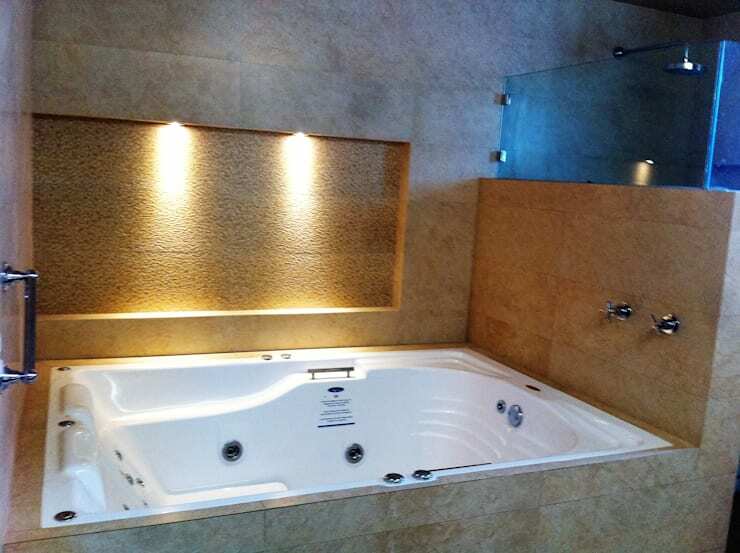 This whirlpool tub is placed in a niche where an illuminated stone wall is the focal point for the bathroom The texture of the wall plays off the polished finish of the other elements in the bathroom. Details to take into account when decorating the house include the multitude of materials, textures, and colours that go into your design. Stone is the perfect choice to add to each of these fundamental design elements. 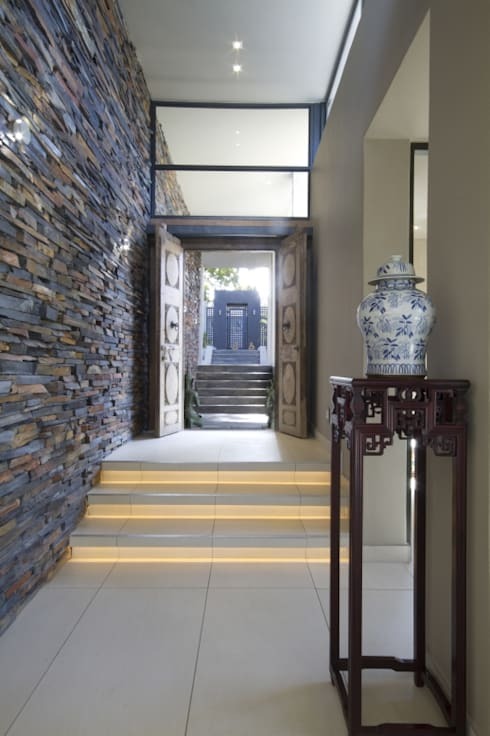 In a modern home entrance way a wall covered with white stones shines. Clarity from the glass front door means the stones will make the first impression for your guests. 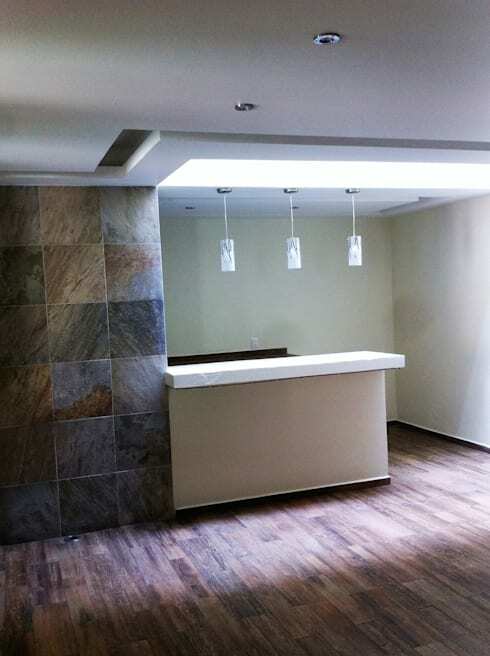 The texture of the stone stands out from the neutral shades of the room. The silver vases pick up on some of the natural metallic striations in the stone. A light coloured stone wall increases a spacious feeling in the home whereas a darker wall would have visually narrowed the entrance area. This wall is designed with square stone tiles. Although it is the same stone, natural variations in shade and colour create an interesting effect when we see them together. Considering the layout of your tiles and creating a gradient can create a dynamic effect. Careful planning goes a long way to help design your home. Make sure that your space will be able to accommodate a stone wall. This flattened stone wall in white and grey tones is stunning. In this room, neutral tones dominate. Beige, brown, and gauzy white curtains create a simple and contemporary palette that’s perfect for a smaller room. Flagstone is narrow and thin and so is a great choice for the walls and floors in your home. Stacking them horizontally like this reveals its narrow profile. 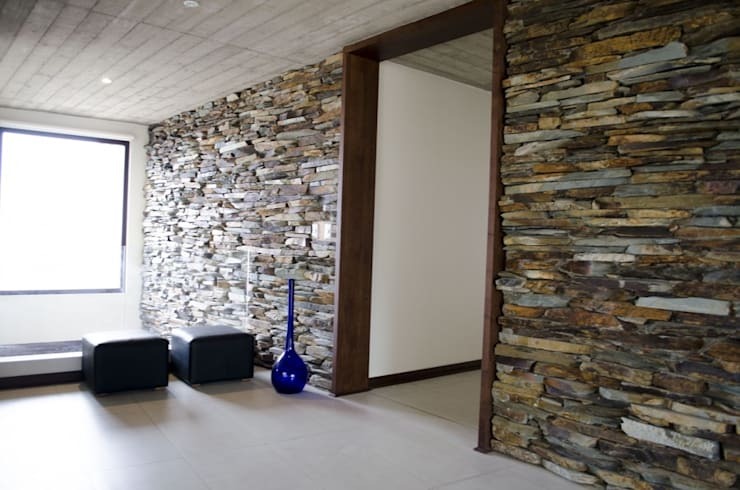 The combination of the stones with their different shades create a visually stunning wall. Stone is a stylish and functional material to use in the bathroom. 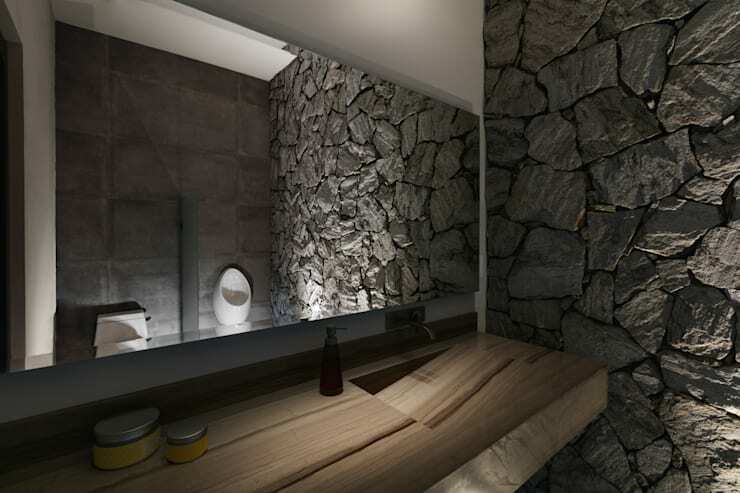 In this bathroom a wall of dark stones plays up the materials rustic roots. The wall has a high contrast with the marble sink. The effect is a dramatic design. 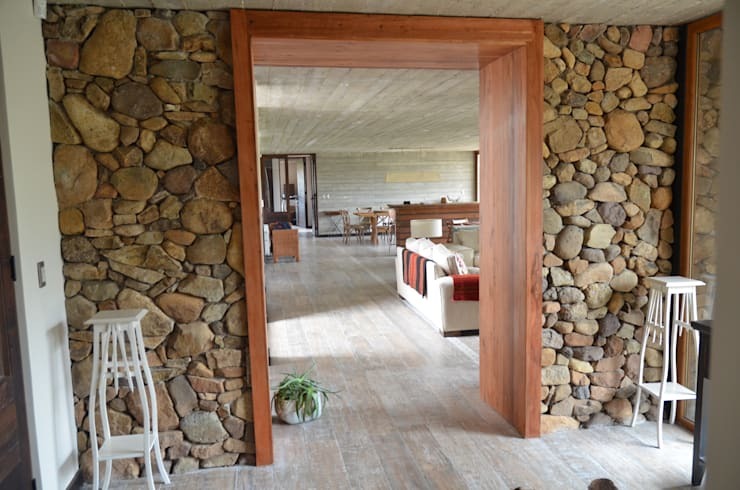 This uncoated stone wall is formed by stacking stones and framing them with wood door frames. It’s a stunning look that’s reminiscent of a rural farm house. 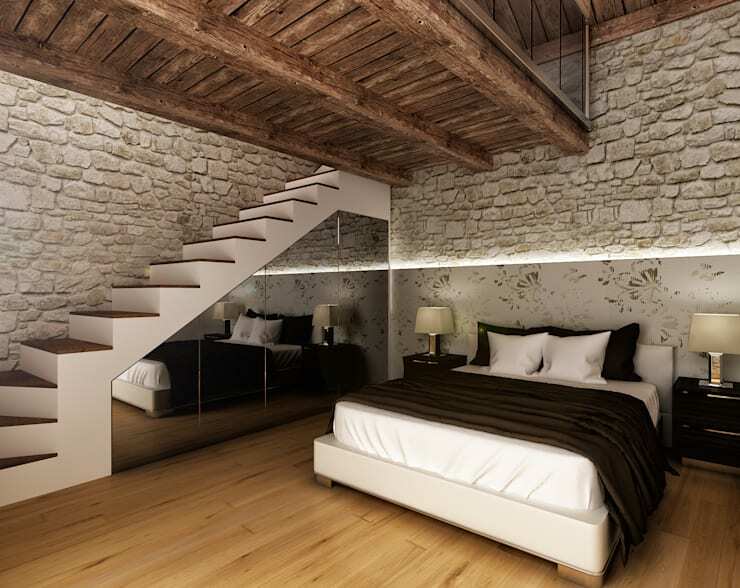 The wood ceiling combined with the stone walls create a classic rustic look. The half stone wall behind the bed allows for installed lighting to brighten up the room. Simple furniture and accessories allow the architecture of the home to shine while a spectacular design lines the walls. Our second look at a flagstone wall, this one is more bright and colourful than the last! Placed one over the other, the flagstones add indelible texture to the home and allowing natural light to flood in makes the stones glimmer in the daylight. For a look that’s bold, masculine, and chic we suggest pairing wood with grey stones. It’s the perfect combination with the varnished wood of the floors and stairs. These two neutral and strong colours complement each other perfectly. A grey stone wall with pronounced texture increases the sense of depth at the entrance hall of the house. The horizontal stones create a feeling of more space. Vertically placed stones would make the hall appear shorter. 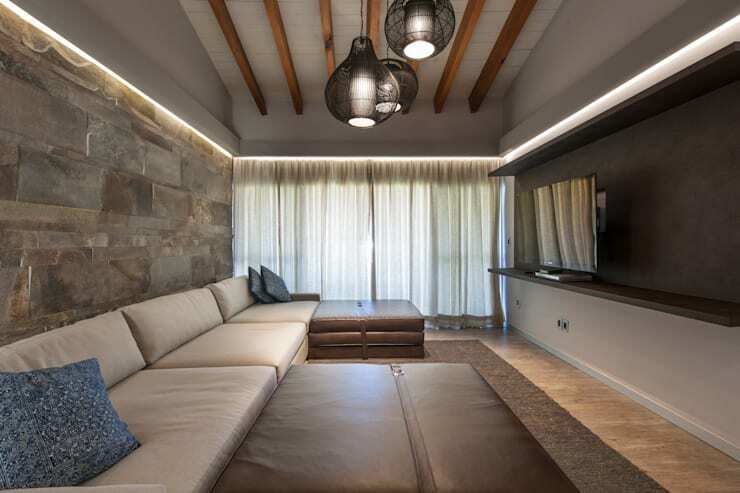 A dividing wall in this house has been built with stone cladding in light brown tones. It looks great in the room’s decor when combined with the natural wood floor. The stones are cut into shapes like bricks. It’s perfectly proportioned for the space of the room. Thank you for reading our list of 12 ways to decorate your walls with stones! We hope you are inspired to use this classic look in your home. For more inspiration for the walls in your home, check out our feature on wonderful ways to add texture to your walls.